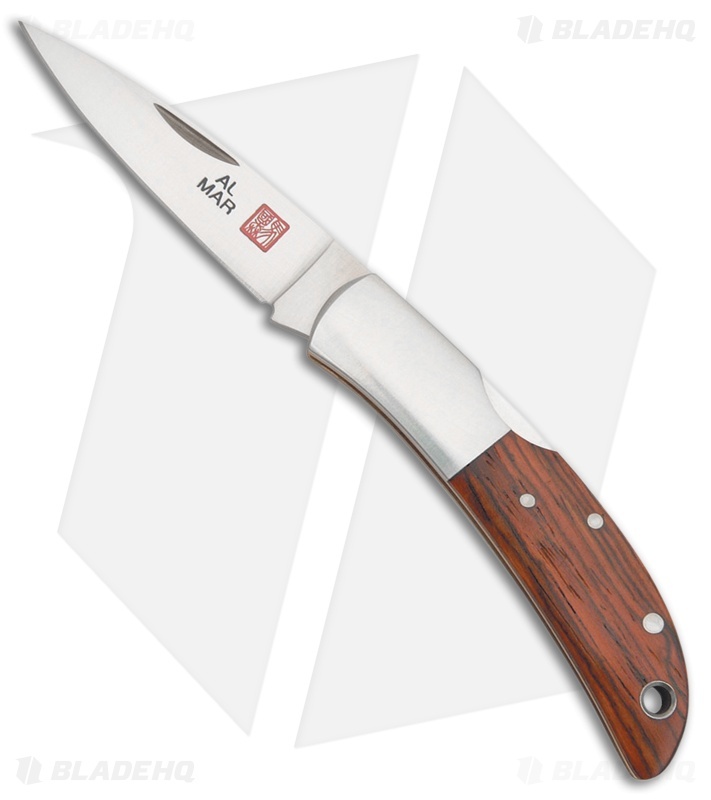 The Al Mar Hawk Classic follows in the tradition of the gentleman's pocket knife with a lock back folder design offering a stainless steel bolstered handle, brass liners, and a convenient lanyard hole. This Hawk has cocobolo scales riveted to the frame. The blade is satin finished AUS-8 steel with a nail nick for easy opening. The Al Mar Hawk also comes with a leather pouch embossed with the Al Mar logo.